For more background: The most recent Reason-Rupe poll reports that 63 percent of Americans don't believe that stricter gun laws would keep weapons out of the hands of criminals. Travelers should be aware that some state and local governments treat this federal provision as an “affirmative defense” that may only be raised after an arrest. All travelers in areas with restrictive laws would be well advised to have copies of any applicable firearm licenses or permits, as well as copies or printouts from the relevant jurisdictions’ official publications or websites documenting pertinent provisions of law (including FOPA itself) or reciprocity information. In the event of an unexpected or extended delay, travelers should make every effort not to handle any luggage containing firearms unnecessarily and to secure it in a location where they do not have ready access to it. As soon as any firearm is carried on or about the person, or placed loaded or readily accessible in a vehicle, state and local laws regarding the carrying of firearms apply. 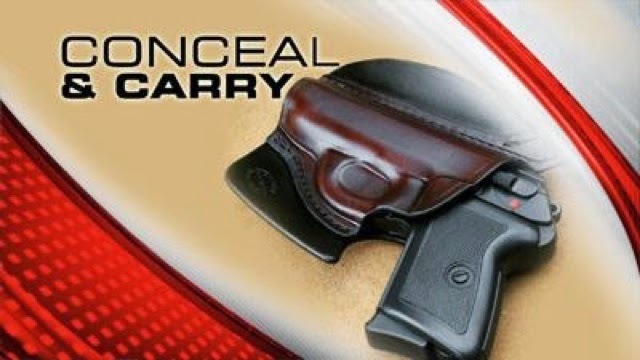 If you seek to carry or transport firearms in such a manner, it is advisable that you determine what the law is by contacting the Attorney General’s office in each state through which you may travel or by reviewing the Concealed Carry Reciprocity Guide (available online at http://www.nraila.org/GunLaws/ or by calling NRA-ILA at 800-392-8683). You may also wish to determine whether the state issues any necessary permits to nonresidents and how to obtain one, if available. While many states require permits to carry usable, loaded firearms on or about one’s person, some will not issue such permits to nonresidents. In most states, firearms may be transported legally if they are unloaded, cased, and locked in the automobile trunk or otherwise inaccessible to the driver or any passenger.The exceptions to this rule apply mainly to transportation of handguns and so-called “assault weapons.” The myriad and conflicting legal requirements for firearm transportation through the states make caution the key for travelers. All firearms or ammunition must be checked with the air carrier as luggage or inside checked luggage. Firearms, firearms parts and ammunition are prohibited from carry-on baggage. 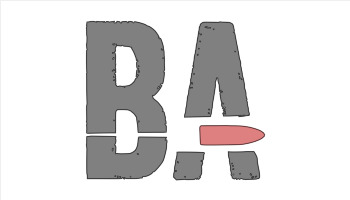 Firearm parts include barrels, magazines, frames and other internal parts of a firearm. Special advisory for New York & New Jersey airports: Despite federal law that protects travelers, authorities at JFK, La Guardia, Newark, and Albany airports have been known to enforce state and local firearm laws against airline travelers who are passing through their jurisdictions. In some cases, even persons traveling in full compliance with federal law have been arrested or threatened with arrest. FOPA's protections have been substanially narrowed by court decisions in certain parts of the country, particularly in the Northeast. Persons traveling through New York and New Jersey airports may want to consider shipping their firearms to their final destinations rather than bringing them through airports in these jurisdictions. While FOPA applies in every United States jurisdiction, experience has shown that some jurisdictions provide particular challenges to those transporting firearms. Knowing the local laws of such places is particularly important and may make traveling through them easier. The following states are known to have especially strict and complicated gun control laws and travelers should consult the state laws directly, along with local law enforcement and states' attorneys general resources for detailed information. MASSACHUSETTS—Massachusetts imposes harsh penalties on the mere possession and transport of firearms unrelated to criminal or violent conduct. Prospective travelers are urged to contact the Massachusetts Firearms Records Bureau at (617)660-4780 or the State Police at http://www.mass.gov/msp/firearms/ for further information. WASHINGTON, D.C.—Use extreme caution when traveling through Washington, DC with a firearm. The certificate requirement for possession of firearms and ammunition does not apply to nonresidents who are “participating in any lawful recreational firearm-related activity within the District, or on [their] way to or from such activity in another jurisdiction.” To qualify for this exception, a person must, upon demand of a law enforcement officer, “exhibit proof that he is on his way to or from such activity” and that the person’s possession of the firearm is lawful in the person’s place of residence. The person must also be transporting the firearm from a place where the person may lawfully possess and carry it to another place where the person may lawfully possess and carry it, the firearm must be unloaded, and neither the firearm nor any ammunition may be readily or directly accessible from the automobile’s passenger compartment, or if the vehicle does not have a separate trunk, the firearm or ammunition must be kept in a locked container. [caption id="attachment_15638" align="aligncenter" width="560"] Homeowner Linda Orist said that her tenant was forced to defend herself after the home invader refused to stop advancing upon her. [/caption] A Colorado Springs woman who lives alone in a rented home is shaken up but fortunate to be alive after being forced to shoot and kill a home invader that wouldn't stop advancing upon her, even after she fired a warning shot. The criminal—which the media is referring to only as a burglar, despite there being no information suggesting that was the reason he was in the home of a woman living alone—first attempted to breach the back door. When he failed to break through the door, he then broke a window with a brick to enter the home. That was his next to last mistake. "She said she just heard some crashing, and got up and saw that this guy was climbing through her window," said homeowner Linda Orist of her tenant. Orist said her tenant was upset and shaken up but was relived she was OK. "She was upset that she had to kill someone to protect herself," said Orist. Orist said the man initially tried to get in through the back door. When he was unsuccessful, Orist said he broke a window with a brick and tried to climb in. "She warned him that she had a gun and to go away but he, I don't know, for whatever reason, he kept coming, and she shot a warning shot into the wall and he kept coming so she had to shoot him twice," said Orist. There was absolutely no reason at all that the renter needed to fire a warning shot, and as we've noted repeatedly, warning shots are a horrible idea and are generally illegal (as a practical matter, you are either justified in using deadly force against an attacker or you are not; a warning shot is therefore often successfully prosecuted by anti-gun district attorneys as assault with a deadly weapon). Nonetheless, the home invader did keep coming after the warning shot, until the renter fired two more shots which finally persuaded him to attempt to flee. Police responding to the 911 call found the man outside the home, and he was reported dead at the hospital. The lawyer questioned for the story said that the renter might attempt to justify her case with the state's so-called "make my day" law, which is a large steaming pile of bovine excrement.